March 2016: London Green Party members have thrown down the gauntlet to Zac Goldsmith and Sadiq Khan, as they lay out their four ‘red line’ policies either candidate must back before Greens officially give them their 2nd preference support for May 5th. Read the full report at the BrightGreen website here. March 2016: EDIE reports that “Building materials supplier Hanson UK is pioneering a demand-side response approach to energy management, with the technology being rolled out to 29 of the company’s quarries across the country” including Hanson’s West Drayton Asphalt Plant in the London Borough of Hillingdon. 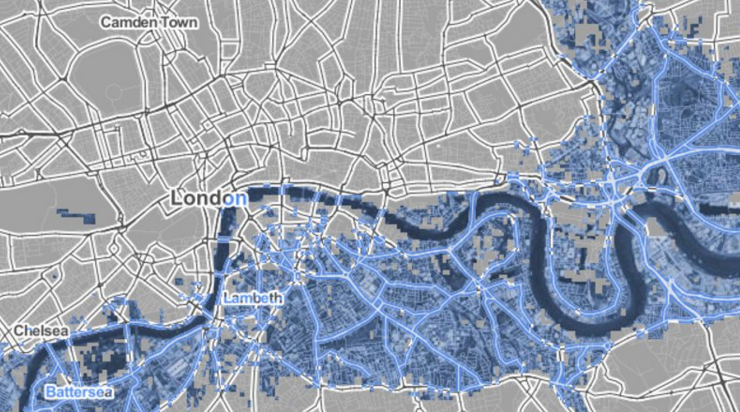 “The London-based firm, which employs around 3,500 people, has partnered with demand-response aggregator Open Energi to install the ‘Dynamic Demand’ system at 14 of its sites, with another 15 installations planned through a phased rollout. Further information can be read on Open Energi’s website. 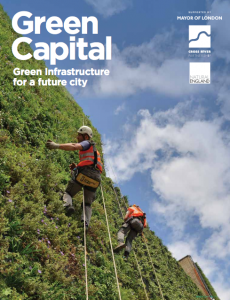 March 2016: An article on Citymetric by Jenny Jones of the London Assembly Green Party providing a useful summary of a report commissioned by her, and published in December 2015, looking at the opportunity for a new Mayor to set up a London municipal energy supply company. 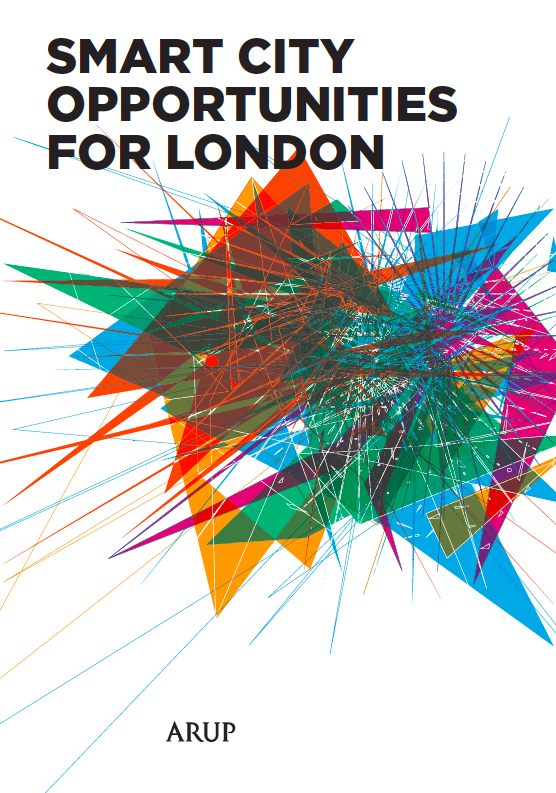 This proposal was adopted this February by Green Party candidate for the London Mayoral 2016 election, Sian Berry, who has set out in a briefing note what a new London Energy Company would prioritise. 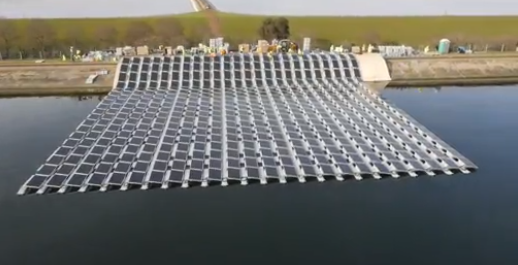 23 March 2016: A new BBC London TV news story providing some added background to Europe’s biggest floating solar farm which is being built in south west London. Has had to be installed quickly to meet the 31 March 2016 deadline for large solar projects under the Government’s Renewable Obligation policy. March 2016: …and so after eight years, we come to Boris’s last question time as London Mayor! And it’s good to see that energy and climate issues featured significantly yet again – a full list of which are posted here. In addition, a video has been posted online by London Assembly Green Party member Jenny Jones of her questions to the Mayor about a shortfall in his domestic energy efficiency programme RE:NEW. The Mayor’s 2011 Climate Change Mitigation and Energy Strategy actually states a 2015 target of retrofitting 1.2 million homes. And the June 2015 update to the Strategy sets out that “By the end of the 2013-14 financial year, over 100,000 homes were visited through the Mayor’s retrofit programmes. Coupled with wider market delivery, 500,000 home have been retrofitted across the capital”, this wider market delivery referring to the number of homes delivered through the Government’s ECO programme. A lot depends on what is meant by retrofit: the initial phases of the RE:NEW programme visited homes on a specifically identified area basis, providing households with a number of free “easy measures”. These visits where meant to unlock additional, more significant, retrofit action in the visited households, such as the installation of loft, cavity or solid wall insulation. Follow up action by households was however fairly limited (only a few per cent) – as has been set out in the following research paper. It’s clear from a recent MQ that the RE:NEW programme has been adversely impacted by the Government’s disastrous changes to its ECO programme, and the flawed nature of the Green Deal. 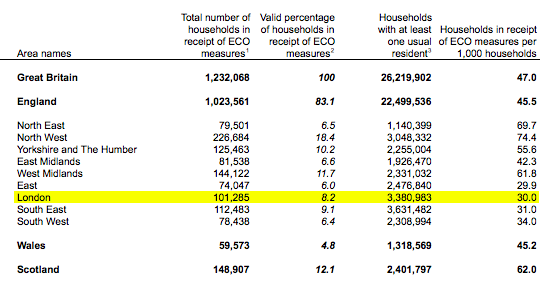 The latest Government data shows that, despite the RE:NEW programme being in place to stimulate the uptake of energy efficiency in the capital, London still has the second lowest number of ECO measures installed (per 1,000 households) across UK regions. March 2016: The Mayor has as yet not formally announced the start of his Licence Lite initiative (something that was originally set to be in place in August 2015), the aim of which was to supply low carbon electricity to TfL (see previous posts here). The Mayor has entered into an agreement with Npower who will provide technical support to the GLA in relation to fulfilling their electricity supply ‘Licence Lite’ conditions. Though there have been delays in getting the programme off the ground, TfL’s new Business Plan whilst not mentioning the Licence Lite programme at all, states that their timetable is to source this electricity this year: “In 2016, we plan to complete a deal to connect directly to 30 megawatts of locally-sourced, low-carbon electricity.” 30MW is three times higher than was suggested by the Mayor back in November 2015. Though TfL’s electricity consumption is growing as added train services, train stations, and whole new lines like Crossrail come online, the business plan says remarkably little about its plan for securing energy supplies. A great deal more information on TfL’s future requirement for electricity is set out in a recent report commissioned by GLA Assembly Member Jenny Jones, on proposals around the creation of a London Energy Company. 17 March 2016: There has rightly been a lot of press around an innovative floating PV array which is currently being constructed in the west of London near Heathrow. The project has been covered in The Guardian, BBC, and a helpful video visiting the site has just recently been posted online by EnergyLiveNews. The project is being funded and developed by Lightsource and Ennoviga for Thames Water (see their press release here) at their Queen Elizabeth II reservoir, near Walton-on-Thames, in Surrey. It’s not the first floating solar farm in the UK – that’s a United Utilities project in Manchester – but it is the biggest such scheme in Europe. This project goes to highlight the hugely flexible nature of solar and the huge potential for PV that could exist across the capital across many sites when properly supported.